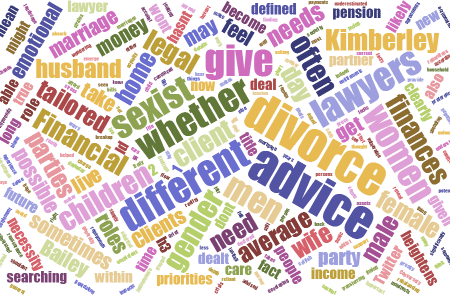 Is it possible for divorce lawyers to give gender neutral legal advice? Or are we ‘sexist’ because we often deal with clearly defined roles within a marriage? 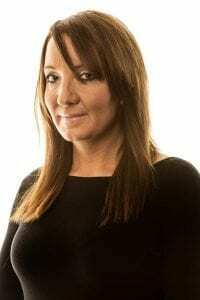 I was asked recently whether I favour male or female clients. I thought back over the clients I have helped over the years – both male and female – wondering whether I had a preference and indeed whether I had treated either gender differently. In short the answer was ‘no’, I provide consistent advice regardless of gender. But this did set me thinking. It is true that the advice I give has to be tailored to each client and their needs, which vary with the history of the relationship, the circumstances of the break-up, whether there are children involved, and each person’s situation and role in the relationship. And in the UK we do still live with some gender stereotypes that actually prove to be true in reality: men generally earn more than women and are more likely to take charge of the finances in a relationship whilst women are more likely to take on the role of home maker and take time off work to care for the children. These are facts of life – and the advice I would give to the average male might by necessity be very different to the advice I’d give to the average female. In a marriage often one partner has managed all the finances, be that the ‘breadwinning husband’ or the ‘stay-at-home wife and mother’. In my experience it is more often the husband who deals with the finances. The person who hasn’t had day-to-day dealings can feel out of their depth at what has become a very emotional time and this can add to how vulnerable they feel. Some people panic over what they may have convinced themselves they don’t or won’t understand when it comes to mortgage repayments, pension entitlements and the general household bills. Sometimes they then become suspicious about how the other party is spending “their money” which when unfounded only further heightens the tension between the parties. The party who has dealt with the money may resent the fact that they have to account for things and that all assets will need to be declared. Only once both parties know the full picture can a fair settlement be negotiated. The party who hasn’t dealt with the money need reassurance they will get all the details and also that they won’t be seen by their lawyer as asking daft questions simply because they haven’t ‘managed’ the finances in the relationship. In many marriages it is the wife who takes over the roles of child and home care. Her income is often significantly less than her husbands’ which will cause her worry over whether she will have the security of the home, whether she can afford to stay there, what her income will be now and in the future, whether she can remain reliant upon her husband for support and for how long, and so on. Homemakers need to be advised accordingly – and their priorities may be very different to their partner. Conversely the husband in such a situation would be looking at a very different financial landscape: possibly finding somewhere else to live and liquidating savings for a new home, transferring pension savings to his wife, as well as facing maintenance payments for any children and possibly also his wife. He will need advice on rebalancing his finances to avoid a cash flow crisis. Both now have conflicting financial priorities and possibly additional pressures from developing new relationships. Where there are children involved the emotional stress heightens for both – with whom the children shall live and how often the other will see them, whether this can be agreed or is acrimonious, the potential blame from each of whether they are being selfish or doing the right thing by the children. The timing and content of legal advice is so important. Clients must be able to hear and absorb the advice. A divorce or separation is a bereavement after all and this shouldn’t be underestimated and only once parties start to emerge from their grief are they more able to focus on their current and future needs and reach long lasting agreements. Divorce impacts greatly on both men and women sometimes it manifests itself in different ways, but both parties feel the emotional strains. So, I’ve admitted it, the advice I would give to the average male might by necessity be very different to the advice I’d give to the average female. Does that make me sexist? I hope not – in fact I think it makes me a pretty good divorce lawyer as my first priority is to look out for the interests of my client and give them the most appropriate divorce advice for their circumstances.